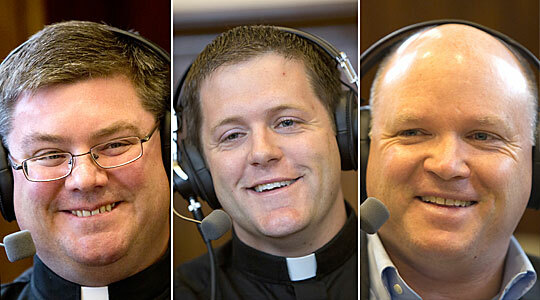 The Good Catholic Life is bringing you some of our favorite shows from the past year Monday through Wednesday. We will return on January 3 with an all-new show for the new year. Today we bring you an encore presentation of our interview with then-transitional deacon (now, Father) Eric Cadin. When Fr. Cadin discovered God while spending a summer surfing in San Diego, it began a journey that had brought him to St. John Seminary on the brink of ordination to the priesthood for the Archdiocese of Boston last June 23. Scot Landry and Fr. Chris O’Connor talked with Fr. Eric about finding God at Harvard, the awesome opportunity of seminary, and how the sudden loss of his mother confirmed his call to the priesthood.